Today I will take a trip from Azua to San Juan de La Maguana. As you probably already noticed, I just love to ride on my 110c bike 😉 It's bad for my back, BUT..the views..the adventure...they all make for it definetely. So I leave Azua early in the morning - which here, in Dominican Republic and with my lifestyle means - "around 10 am"...;-) For the longer rides and for the places where you never been before, it's always good to leave earlier - to avoid any eventual problems on the road and to have time to find good cheap hotel in your destination. The road Azua - San Juan de La Maguana is just great. Looks like brand new (as of 2013). No potholes, no problems, just plain good asphalt. 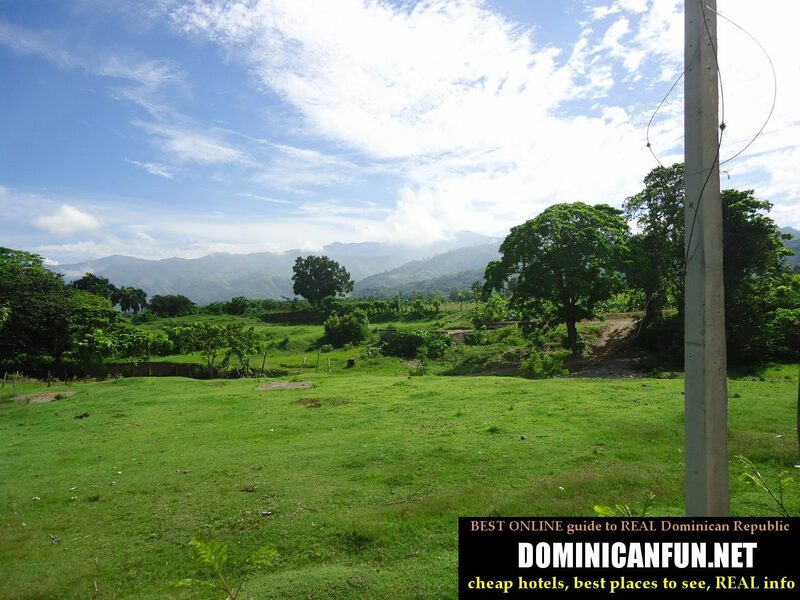 And the views...San Juan de La Maguana is located higher in the mountains, so before you will get there, you will see beautiful mountains, valleys and so on.